Amber Brock is the author of the new novel Lady Be Good. 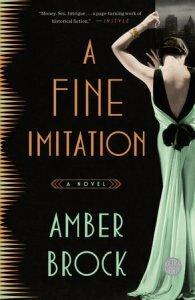 She also has written the novel A Fine Imitation. 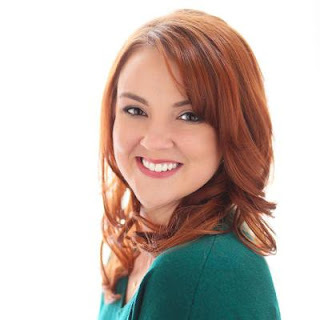 She is an English teacher, and she lives in Smyrna, Georgia. Q: How did you come up with the idea for Lady Be Good and for your character Kitty? A: I often have ideas or characters come to me as I’m driving to work and listening to music. In Kitty’s case, I was listening to “Symphony in C” by Cake and “Walking on Broken Glass” by Annie Lennox when the image of a girl popped into my mind. She had platinum blond hair, bright red lipstick, and a wicked smile. I immediately wanted to know what that girl was up to. I drew inspiration from the machinations in Dangerous Liaisons and Emma, and the story and characters started to take shape in my mind from there. Q: What type of research did you need to do to recreate New York, Miami, and Havana in the 1950s? A: I always do an enormous amount of research before and during the writing process. It’s probably my favorite part! For this novel, I read some fantastic non-fiction books (including Havana Before Castro by Peter Moruzzi), but I also like to go to primary sources. I found a website full of airline brochures, I watched home movies of southern Florida from the 1950s that people had posted on YouTube, and I looked at photos and read postcards. Life magazine is also a great resource. I was fortunate enough to have assistance from a knowledgeable librarian to find articles and oral histories—librarians truly are readers’ and writers’ best friends! A: I had a general idea of how I wanted things to work out and where I wanted the focus to be at the end of the novel. As I worked, of course, the story took little twists and turns that I hadn’t expected. I had a plan, which I followed for the most part, but it was in working out the “how” of the story that I found surprises. 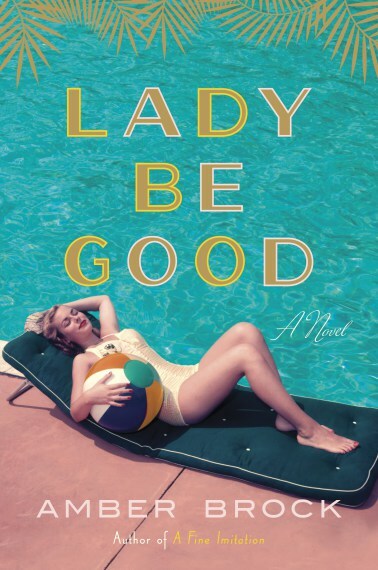 A: I was really struggling with the title when my agent suggested Lady Be Good. I listened to the Ella Fitzgerald version of the song, and I knew immediately that it would make a perfect title. A: I have a couple of ideas in the “seed” stage, but I’ve been spending the most time with a mystery set in Golden Age Hollywood.